The elastic strap that makes any skier better. We want to make sure you are 100% satisfied with your products. 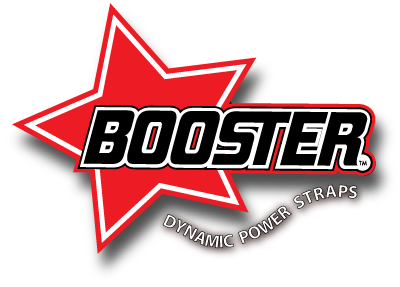 Please contact us directly at 1-877-2Booster on weekdays from 9 a.m. to 5 p.m. EST and we would be happy to assist you. Orders placed before 2:00 PM EST (New York) will be shipped the same day. USPS- 2-3 day delivery time to most addresses in the U.S.
USPS- 6-10 day delivery time to most Canada addresses. USPS- 7-14 day delivery time to most International addresses. Slide On must ship UPS Ground, and UPS ground does not ship to P.O. Boxes. Slide On and Booster Straps must be purchased separately to ensure proper shipping method is selected. I own a ski shop here in Montpelier Vermont called SlopeStyle Ski & Ride. I have a customer who would like to have some booster straps installed on their boots. We have never ordered any from you in the past but would like to get this customer taken care of and have an account to be able to order them for other customers if the need arises. Could you let me know how to proceed? Hi Ian, sorry for the delay in reply the site is new and we are just getting used to it. Do you mind sending Ray and email at ray@skimetrix.com ? I let me know to be on the look out for your email. I just got your Hoosiers as Christmas present. I weight 155 pounds and I’m a ski instruktor. Consideing skies (I use wc) or boots (130 or more) I would place myself in world cup group on your scale. Should I use expert boosters (because of weight) or world cup booster (because of skills)? There is plenty of overlap between models. I would try the World Cup. If it is too stiff feeling you can downgrade it to the expert by cutting out the stiffening webbing located between the back two bands of the WC.